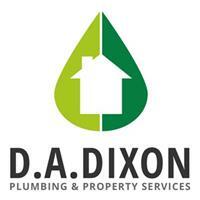 D.A.Dixon Plumbing & Property Services - Central Heating Engineer, Plumber based in King's Lynn, Norfolk. With 28 years’ experience here at D.A Dixon we pride ourselves on giving high standards at reasonable costs. We’ve been trading since 2005 and have built up a substantial customer base, now that we’re expanding we are looking to take on new customers but still giving the same high standards and keeping the costs down. Not only that we cover plumbing we are now offering property management for landlords and business organisations. Our team can cover cleaning, full maintenance and full building works. All our staff are fully trained in all aspects of work they cover.